Sounds awesome! Have you tried Hospital Tycoon? That game is hilarious! No, I haven’t tried it but I have heard of it. They both seem to be kind of kooky hospital games. I think so. 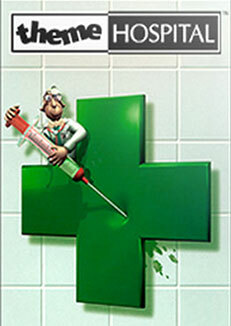 I have hospital tycoon on disc and it’s really awesome but it gets pretty hard actually. Yeah old games kinda had a steep difficulty curve, like the first five or so levels were fine but then WHAM you’re hit with super difficult one!